Today, it is my pleasure to share a unique interview with you. Donna (of Write by Faith) and I each chose a main character from Robin Shope's new book The Christmas Edition to interview. 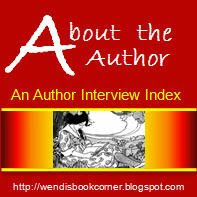 Donna interviewed Lucy Collins, one of the main characters, while I interviewed Joe McNamara, another main character. Special thanks go out to Robin Shope, the author of The Christmas Edition, who graciously completed the interviews for us and is allowing us to giveaway one copy of her book (which I LOVE)! See below for the giveaway details. Together, we are sharing our interviews with you today. To see Donna's interview with Lucy, visit (sorry, the link is broken and will be corrected when a new one is found). To see my review of The Christmas Edition, click here. 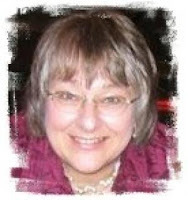 To view my author interview with Robin Shope, click here. Without further ado - we will now hear from Joe McNamara! Who has had the biggest impact on shaping your life prior to Turtle Creek? My parents had a tremendous impact on shaping my life. Being the only child of two professionals, I was given an excellent education at The Latin School of Chicago. However, my schooling went far beyond that. We went to concerts (symphonies), stage plays, museums, art galleries, and they hired private tutors so I could explore anything I was curious to learn. We also traveled extensively. How do you like to unwind at the end of the day? I begin and end my day by reading the Bible. It helps me put everything into perspective and centers me on Christ reminding me where my priorities are at. May I say the Bible again? Aside from that beautiful book of hope and salvation, I enjoy reading poetry –especially by Robert Frost. ‘The woods are lovely, dark and deep, but I have promises to keep, and miles to go before I sleep, and miles to go before I sleep.’ These simple, yet powerful lines, speak of my resolve to make my life really matter. We learn that you were an only child, and that your parents were both killed in a car accident while you were in college. Do you have an extended family that you stay in contact with? There is no one. I wasn’t raised on family reunions and holiday traditions like Lucy. I think that is another reason why it was so easy to fall in love with her. She came in a package with wonderful, quirky relatives who opened their hearts to me and welcomed me home. I have never known such love from strangers or even knew it existed. Sometimes I have a hard time letting people in to my life, opening up. I watch Lucy. She has a gift for making people feel welcome. Other than your experience with Hudson, where there other reasons you were looking for a change of pace in your career? While visiting/living in Turtle Creek, you go through a major transformation with your faith. If you could have another conversation with the elderly man in the church, what would you talk about, and what would you say to him? I am interested in learning his name. It was a one time chance meeting. Of course, I have never asked anyone about him but I have this feeling that when I am really searching again for a spiritual truth, he will be around to answer it. Some people place a lot of value on traditions, especially around the holidays (Lucy’s family uses ornaments to enjoy prior year’s memories that are important to them) – do you have any traditions around the holidays that are especially important to you? My family wasn’t much for traditions. They were focused on the here and now. If I make them sound like cold figures forgive me for they weren’t. I knew I as loved. And they always put me first. Fast forward 10 years, what do you think your life will be like? I hope I will have grown more fully into the knowledge of Christ. And I see four kids in our house, creating our own family traditions. By then I hope the paper will have grown a great deal along with the businesses in our small town. Allow love to be your guide and trust that. Never run from what God is asking of you. He will give you the strength and courage to do what needs to be done in your life. This world is so fleeting. Build His kingdom. Robin Shope has generously offered to send one of my readers a copy of The Christmas Edition. To be entered, please leave a comment here (Please include your email so I can contact you if you are the winner)! It is that simple! For a bonus entry, leave a comment on my review and/or my interview with Robin! A winner will be randomly drawn on December 21st, and will be notified via email. This drawing is open to addresses within the United States. I don't really read these types of books - but I ALWAYS LOVE THE COVERS!!! I love to read and will just about anything and everything. This looks like it would be great. Thanks for the contest. Here is the link to Lucy's interview!! Thank you for leaving comments! I wish you all a very Merry Christmas! Always looking for a good read. Nice interview. I love to read and this looks like a good read. I would love to read this, it looks fun! Thanks! Would love to win the book. christmas is my favorite time of the year. Nice interview. Looks like an interesting read. Please sign me up for your contest. I love to read books and would love to read this one. Great interview, sounds like an inspirational story to get lost in during the winter months! I love Christmas stories. They are the best. after reading your review and seeing that you stayed up almost all night to finish the book, it must have something really good going for it. Please enter me in the drawing. I read everything and would love to be able to say that I've read this book! I love to read. I'd love this book. My email is in my profile. Enjoyed the interview. It looks like a great read. Sounds like a good read. Thanks for the great giveaway! Please count me in! ~ :) I'd love to read this. Thanks! This would be great to read. Thanks! I am a big reader, and love all types of books thanks for the chance to win! Sounds like a great book. I would love to read it! Thank you! These books look like good reads. Thanks for the chance. Sounds like a really good read. Nice to see a book about having faith, especially in these troubling times. I love reading books like this! The book is dream on material for me. This looks like a great book! Thanks for the giveaway! Please include me!